Just found this forum while searching for information. I realize this is a bit off topic from what most folks post here but I'm very new to solar panels and looking for some insight so I thought I'd give it a try. I'm working with my son on a science fair project. He wanted to do something with solar power and so we got a little 10w solar panel to use, https://amzn.to/2S4IKwN. My question is why, without load, the panel seems to have a pretty constant output voltage as measured on the charge controller, even when the panel is at a very steep angle to the sun? It seems to max out around 22 volts and even at a 90 degree angle it only drops to about 17 or 18. The data we're looking for is how the output of the panel changes with the angle of the sun. Is our approach flawed here, is there a better way to get the data we're after? My hunch is that measuring the voltage without any load isn't telling us the whole story. - Open circuit voltage (with no load) will be pretty constant in a wide variety of light, and vary a bit with cell temperature. This means tilting the panel (within reason) so less light hits it will lower voltage slightly, but this would be offset to some degree by the sun warming the panel. In cold climates like mine, this can be an issue as voltage can get too high for connected equipment on a cold breezy morning before the low morning sun warms the panels enough. It can also happen when a cloud passes, letting the panels cool, then reappears on the cold panels. - Current (amperage) output from the panels is more or less directly proportionate to insolation (strength of illumination), with minor temperature variance. Partial shading and panel construction are potential complications, but in general you'd expect a minor variance in voltage in changing panel tilt, and a more material change in current. If you could give us an idea of the level of the science project (age of son, tolerance of arithmetic), and whether it needs to be experimental etc, maybe we could offer some help in design? You can visually monitor the amperage of the panel with a digital voltage meter. The red lead needs to be plugged into the correct socket and the dial needs to be set to amperage. If you put the probes onto the positive and negative wires and tilt the panel toward and away from the sun you can watch the short circuit current rise and fall in direct relation to the panels orientation to the sun. Some meters have ac or dc amperage you need to use the dc option if so. This one allows both ac and dc both one the same selection. Dc will be a solid line with a dotted line below. Thanks for the reply! My son is 10 and so this is pretty basic from a math and complexity standpoint though I'm trying to stretch him as well. It is experimental as opposed to an engineering project. Our goal is to be able to make a comparison between panels that track the sun and those that don't. I have the panel mounted on a camera tripod so it can rotate in a measurable way so to mimic the movement of the sun. For measure the output, I think the best unit for this would be watts but I was unsure of how to best measure this. I just found someone that measured the voltage and amps directly from the panel, without anything else in the mix. I'll give that a try and see how that goes. We're actually supposed to see the sun a bit tomorrow, which is often another problem here in the northwest! You are correct... Open Circuit Voltage is not too interesting. More or less, once you even have dim morning light directly on the panel, you will see Voc (voltage open circuit). Voc is somewhat affected by the temperature of the solar cell, from a cool cell to full sun/hot panel, you can get (roughly) a 20% drop in Voc. The other issue is the current through the panel... More or less, if you short the output of a solar cell, the current through the cell is proportional to the amount of light hitting the panel. Zero light, 0% of Isc (short circuit current). 100% of rated solar energy (full noon sun, clear sky, basically 1,000 Watts per square meter) is 100% of Isc. One of the popular electrical equations is Power = Voltage * Current ... So, if you have Voc * 0 amps you have zero Power. Also, if you have P = 0 Volts * Isc you also have zero power. The "magic formula" for solar panels is Pmp=Vmp*Imp (Power maximum power = Voltage maximum power * Current maximum power). Everyone is used to dealing with "voltage sources" (power supplies, batteries, etc.). Solar panels are "current sources". The current from the panel is roughly equal to the amount of sun hitting the panel. So if you draw 5 amps from a panel with Imp~5 amps under full sun at noon, you will get Vmp~18 volts. If the sun is 1/2 down, and you try to draw 5 amps from the panel, the output Voltage of the panel will drop down towards 0 volts. That is the basics on the panel side. On the "load side" there are two major ways of harvesting energy. One is to simply attach an "18 Vmp" panel to a 12 volt battery through a PWM (pulse width modulated) charge controller. The PWM controller is basically an electronic on/off switch. You want high charging current (low battery state of charge), the switch is "mostly on" (near 100% on duty cycle) and charging at ~14.75 volts. If the battery is full, the charge controller will be "mostly off" (near 0% on duty cycle) and the controller will hold ~13.6 "float" voltage. The basics are almost that simple. The details are a lot more complex MPPT (Maximum Power Point Tracking) solar charge controller, different loads (motors vs batteries vs DC loads). MPPT controllers are generally used on larger system (over ~800 Watt array), and PWM controllers are used on smaller systems (under ~400 Watts). For your 10 Watt array--You want to work with smaller components (small loads, small battery possibly). Your solar panel can charge a 12 volt battery bank (sounds like). But, the panel will work fine if you are charging (for example) 2-3 NiMH AA (or AAA) batteries in series, attached to a light, AM/FM radio, or similar (the batteries will "regulate" the voltage from the small solar panel pretty easily--for a short term science fair project). 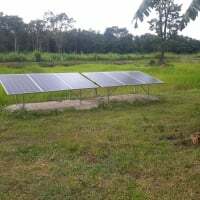 Another method is to run a small radio directly from the solar panel. You have to be careful because your panel will output ~22 volts Voc, and the radio make take 3-9 volts (depending on internal battery). You would need a regulator to drop the voltage to the radio for a safe level. Solar panels really need "full sun" to output anywhere near rated current (I=P/V=10W/18V=0.56A)... In a typical room, you may not even 1% or even 0.1% of rated current... So finding a load that would run at 0.1 Watts or even 0.01 (or less)... Those are very low levels of power--You might be able to run a small AM radio or LED directly in Room Light or under a bright high intensity lamp. But note most of these will require full noon sun to "run". Doing this in a room, no so much. Anyway, some basics. Feel free to ask questions and tell us what you are thinking of doing. For tracking, there will be a horizontal track, which changes from morning to night as the sun goes from east to west, and a vertical track, which increases until solar noon, then decreases until sunset. There will also be changes in both as the azimuth & elevation angles change from winter to spring. To keep things simple, you may want to focus on one variable (eg fixed tilt, following the east/west track, or fixed south and variable tilt with sun elevation). Without a load, the panel will have an open circuit potential (voltage), but no current, so something measuring watts wouldn't measure much aside from the measuring device load itself - likely well under the potential output of the panel, and of limited experimental use. If you have something that can measure watts (with DC load), you could maybe rig a load that could take more than what the panel could produce (filament bulb?). At age 10 (grade 5? ), basic algebra is likely at or near grade level, so playing with Ohm's law a bit may not be too much of a stretch? It might also be kind of fun to rig up a simple sundial sort of thing (like a straw stuck vertically on a flat base) and track the shadow to get a visual record of the suns path and angles. Maybe useful as a supplemental data graph on the project board? Sometimes a visual effect is easier to grasp, a small 12V 10W fan for example will operate at different speeds as the angle of the panel changes with relation to the sun, a lamp ~10W is another option to achieve a visual effect, the wattage should be close to the panels rating to prevent overvoltage. 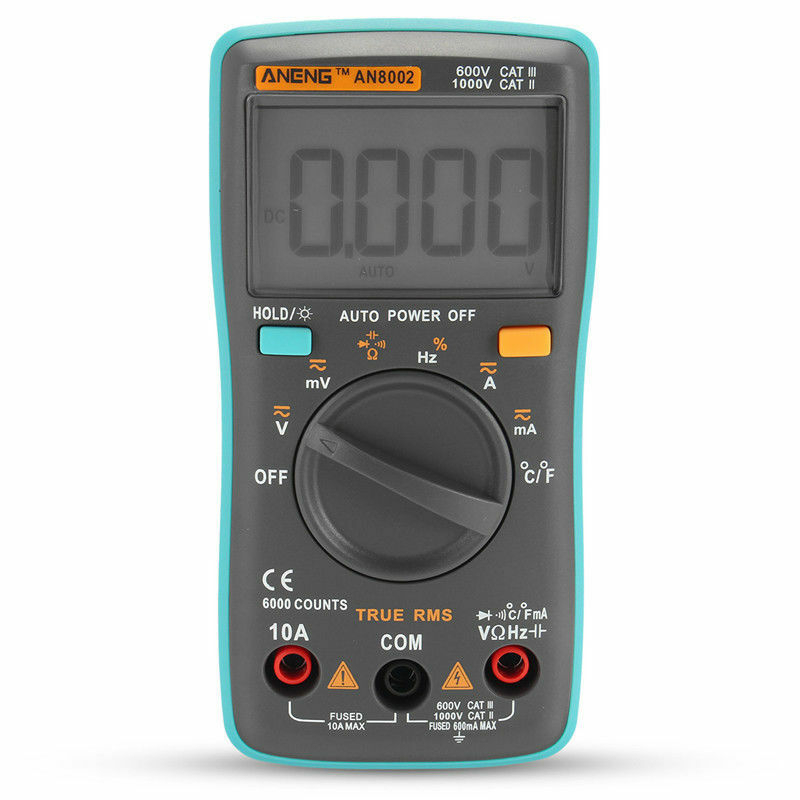 Using a multimeter, as LH2 suggests above to measure just short circuit current could also work. Assuming a 12v nominal panel, current shouldn't be more than ~1 amp, which most multimeters should be able to handle. To be safe, I'd suggest just doing periodic readings (as opposed to leaving it hooked up all day). I'm not sure they're designed to measure current continuously, and also not sure of accuracy if the circuit gets warm/hot. Never tried it though.